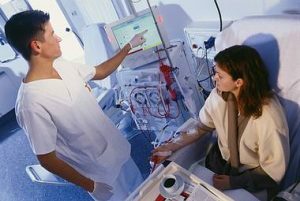 What do dialysis technicians do? What do dialysis technicians do? Dialysis technicians assist people with kidney failure. Dialysis Technicians work primarily in hospitals, outpatient clinics or in home dialysis settings. They may also have titles of dialysis tech, renal dialysis technician, hemodialysis technician, and nephrology technician. Dialysis technicians assist people with kidney failure. Dialysis Technicians work primarily in hospitals, outpatient clinics or in home dialysis settings. They may also have titles of dialysis tech,renal dialysis technician, hemodialysis technician, and nephrology technician. A dialysis technician job description includes preparing patients and operating equipment that performs the function of kidneys. The dialysis equipment filters out waster and toxins from the blood. Dialysis Technicians work under the supervision of a nurse or physician. They prepare the patient by explaining the process and positioning the patient on a chair. 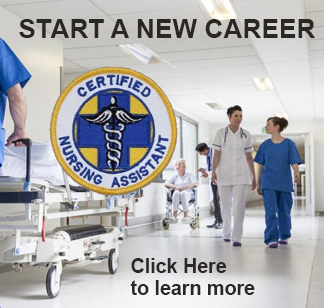 The Board of Nephrology Examiners Nursing Technology (BONENT) is a non-profit organization promoting excellence in the quality of care of nephrology patients in the United States and many countries around the world.